An ideal 5G PaaS should not only facilitate building, shipping and running classical virtual network applications (VNF) with “telco-grade” quality, it should also combine all sort of third-party applications with those VNF for creating new more versatile and powerful cloud objects, breaking silos between connectivity and computing. Such a 5G PaaS does not exist today. NGPaaS will build it. Visit the different sections of NGPaaS website to learn more about this project: Challenges, Impact, Work-packages etc. The Dissemination section will list the conferences contributions & journals papers, open sources contributions, flyers etc. Public deliverables will be accessible online. Don’t hesitate to contact the Project team for more information on this project. 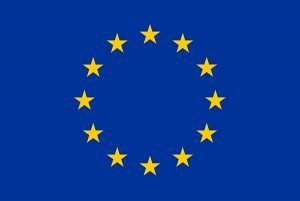 NGPaaS project is an Horizon 2020 EU-funded project and part of the 5G-PPP Phase 2 initiative. The innovative project has a 24 month workplan, recently started in June 2017. 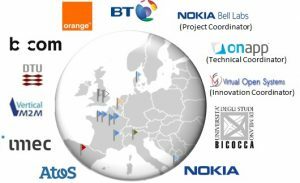 The NGPaaS consortium includes 12 partners from 7 different European countries: France, Italy, Belgium, Spain, Denmark, Israel and UK. A close look to the consortium reveals that NGPaaS brings together pioneers with complementary background, carefully chosen to meet the project’s objectives.